Whether shopping for your new home or one you’ve lived in for quite some time, I’m sure you have flirted with other homes, and pictures and ideas of your exquisite dream home. Sometimes, these fantasies are not cost-efficient, and other times they come with additional expenses that an older home may bring, such as old plumbing, electrical nightmares, and insulation, to name a few. To get that beautiful character that comes with homes built long before we were even born, start with vintage paint colors. I adore the character that these colors will add to a room and how they will make your vintage décor, crown molding, and wainscoting pop on your walls. Once you have added that inexpensive charm to the room, add one major focal piece to the room that is truly vintage, such as a stove in a kitchen, a chandelier in a dining room, a fireplace mantle and hearth in a living room, etc. Gradually, add pieces that complement and add to the character and charm of your chosen focal piece. Keep it simple so that your selected items are features and not lost in clutter. It’s okay to have a crush on other homes. Finding pictures of older homes and rooms that I want to put myself into, like a romantic novel, is my favorite way to decorate. Don’t just romanticize; take that photo and mimic the colors, focal piece, and even the accent pieces. This will help you know how to tie it all together tastefully. Make sure it’s a comfortable room to be in and not just a show piece for pictures. Other items with that old-time charm you can add to your rooms to build character are wooden doors, old lanterns, wood floors (creaky is good), the thick and chunky wainscoting, exquisite crown molding, and shiplap. These items are always much cheaper than adding new sewer systems or replacing electrical panels, old plumbing, and roofs as is often required in an older home. 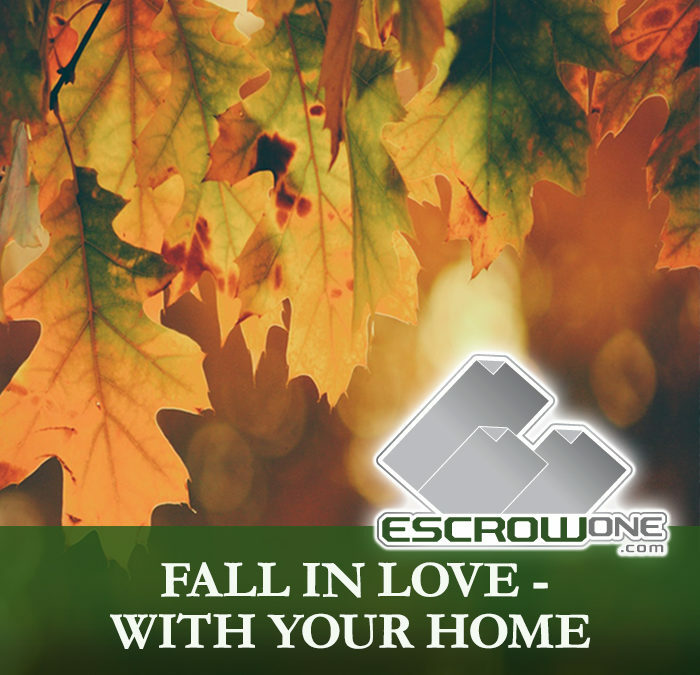 EscrowOne, Inc. invites you to sit back this fall and Fall in Love with the romantic charm of your home. We wish you and your family the contentment and confidence that a newer-built home brings—one that is functional, safe, and not in need of repairs.